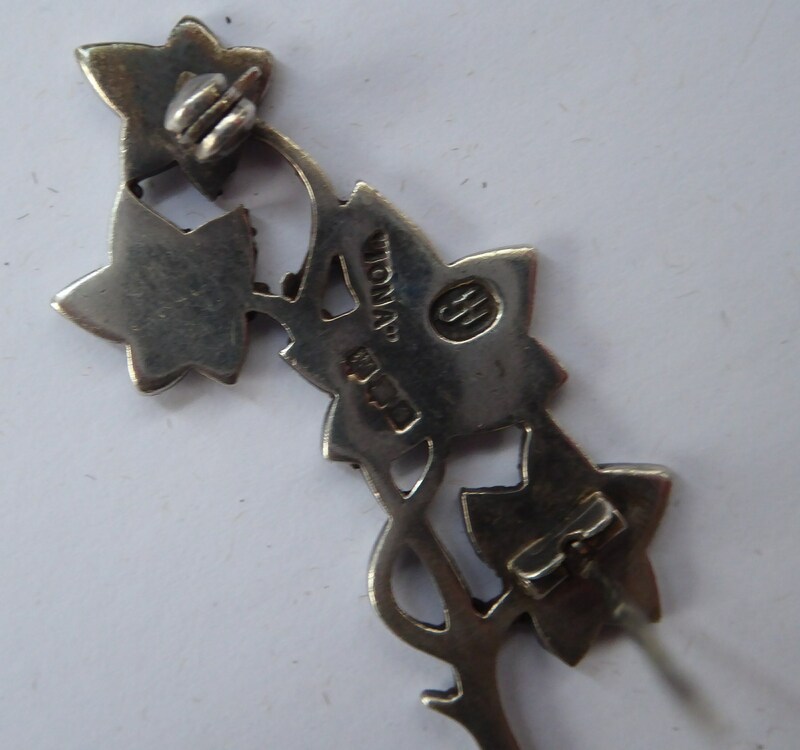 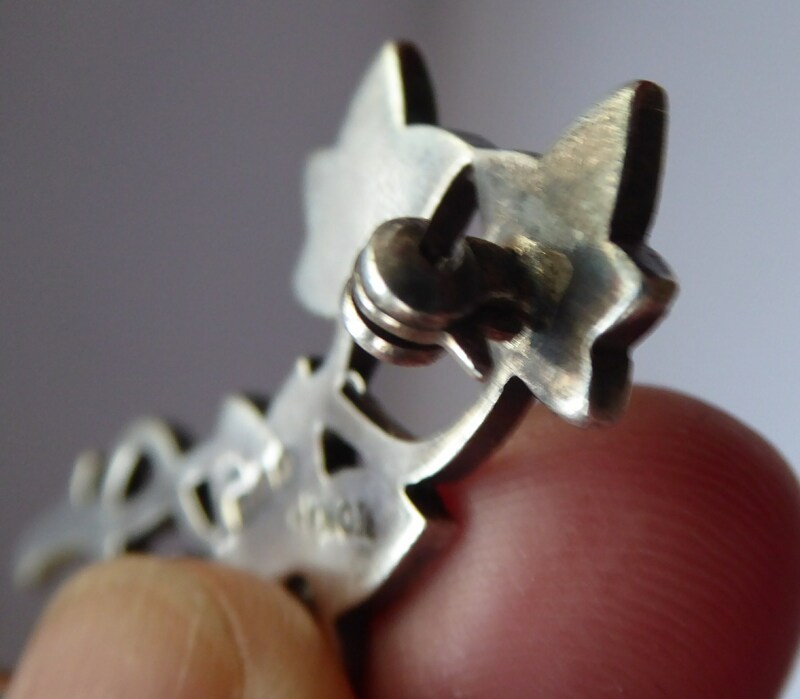 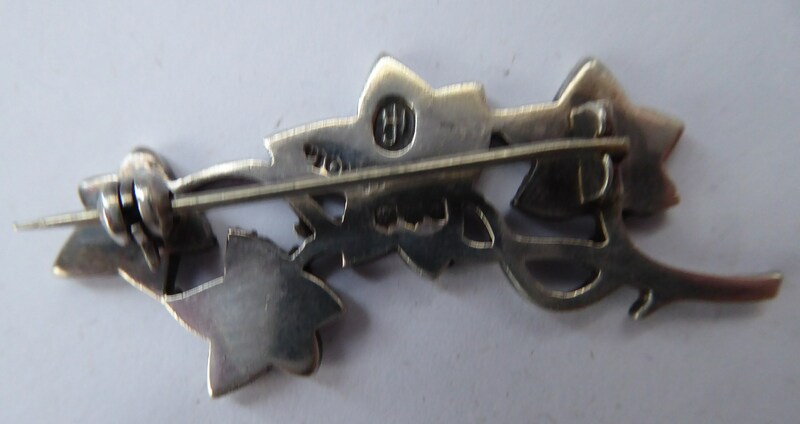 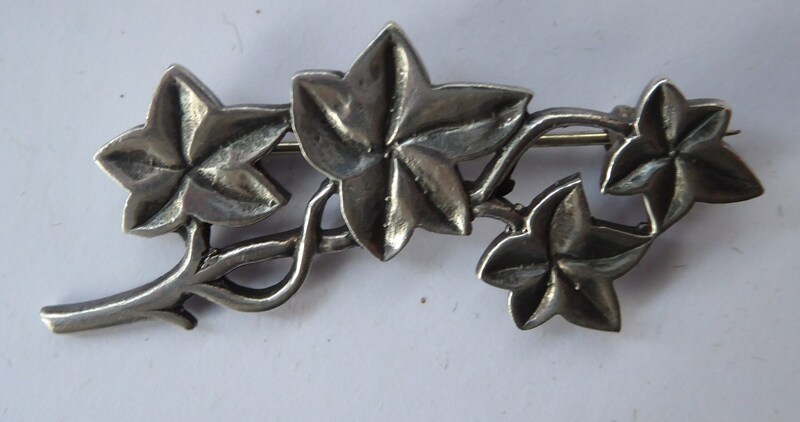 This is a pretty little Scottish silver brooch which was designed by the celebrated silversmith, John Hart (Senior). 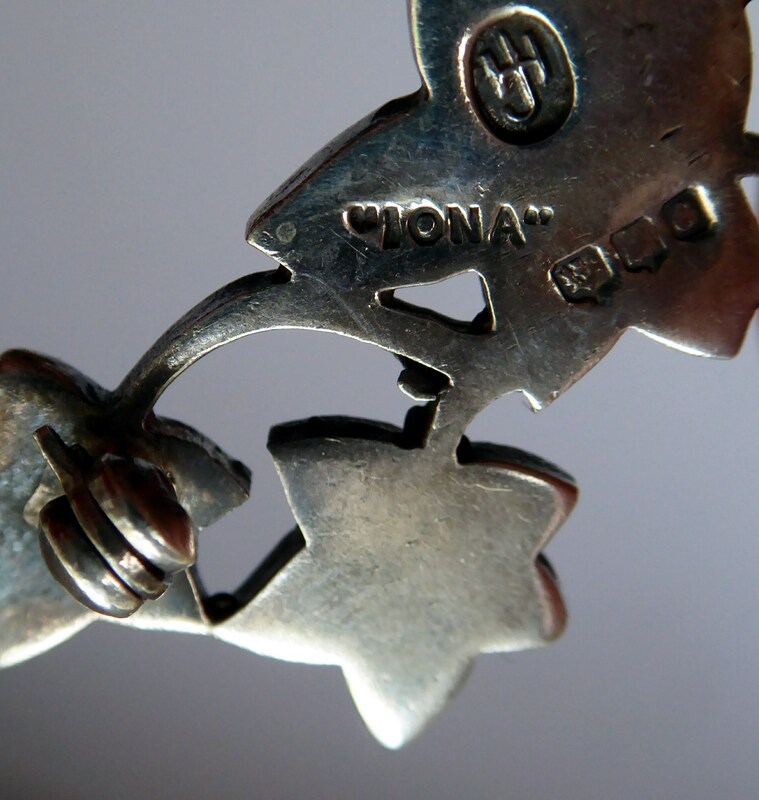 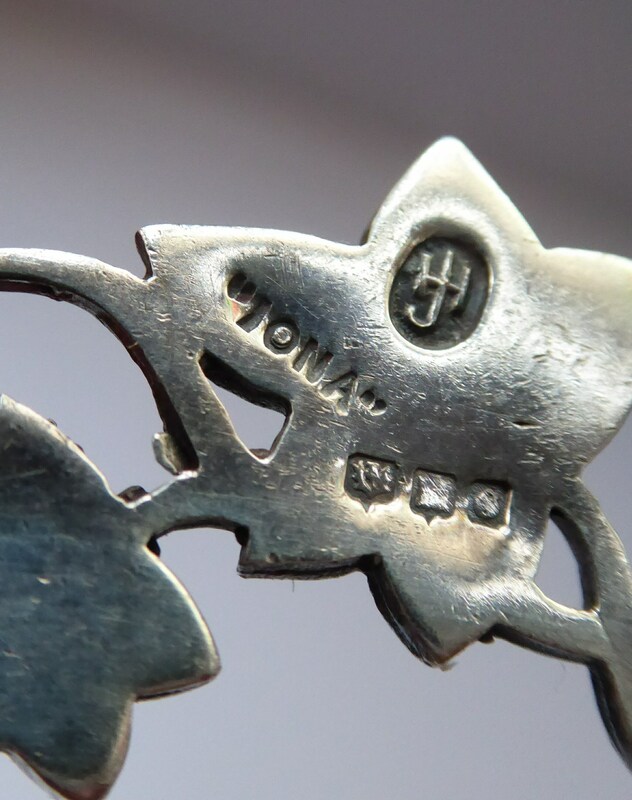 It is marked on the back with his monogram and the word IONA and an Edinburgh hallmark - the date letter is very tiny but it is certainly dating from the early 1970s. 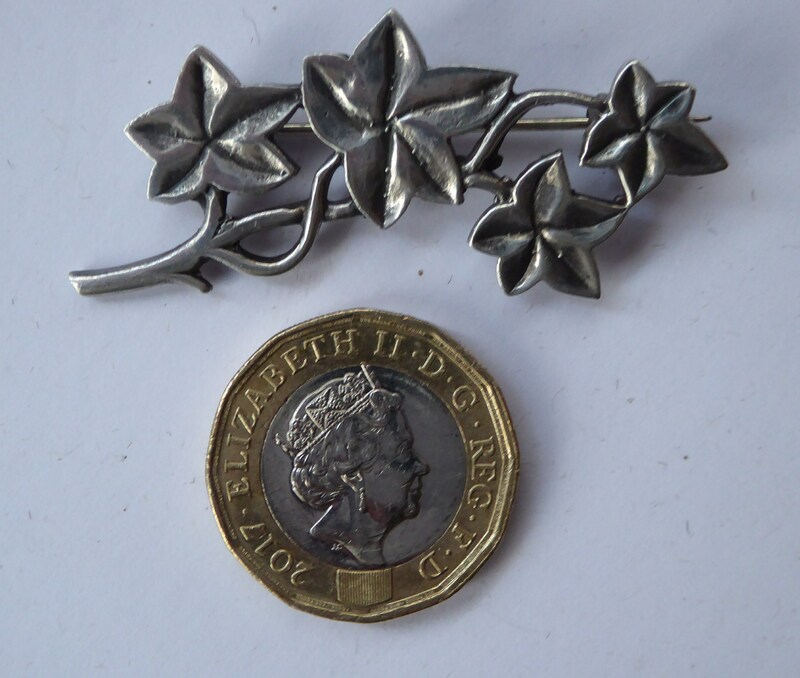 The brooch is a nice subtle design - and probably modelled on or taken from an earlier Alexander Ritchie mould or design. 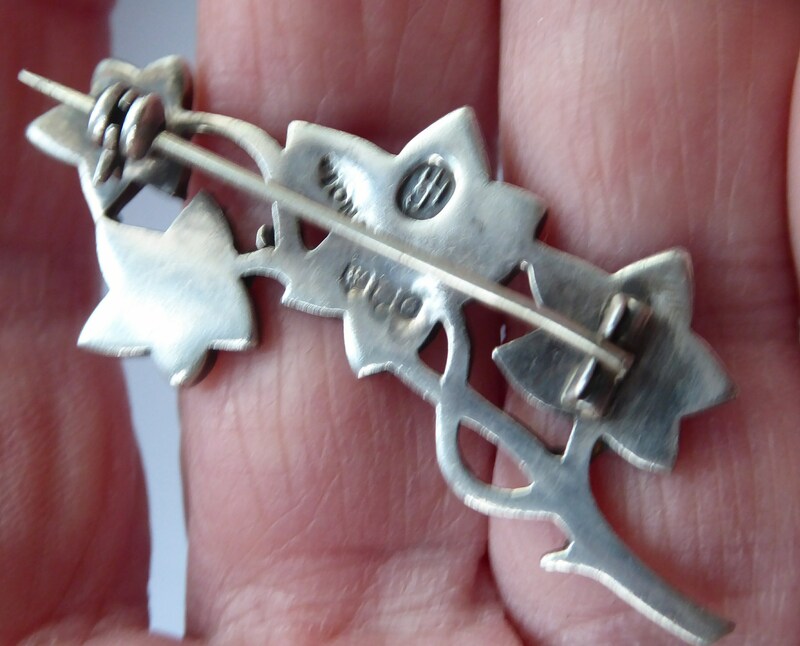 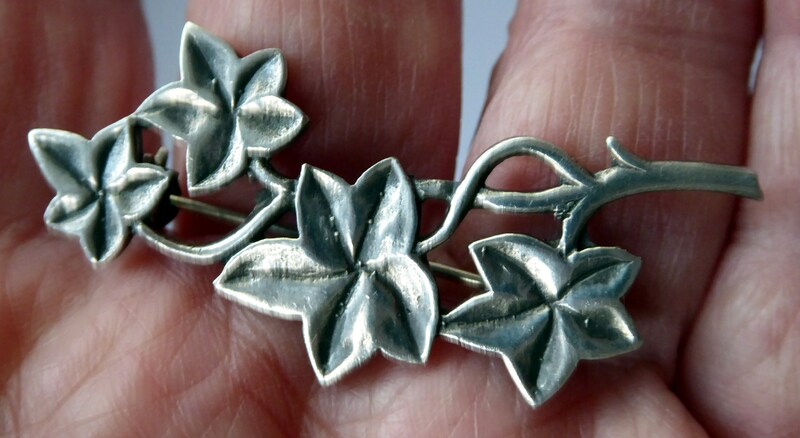 This little brooch is finely modelled and takes the form of a little sprig of wandering ivy - 5 cm long and a very sweet and understated piece of vintage Scottish jewellery. 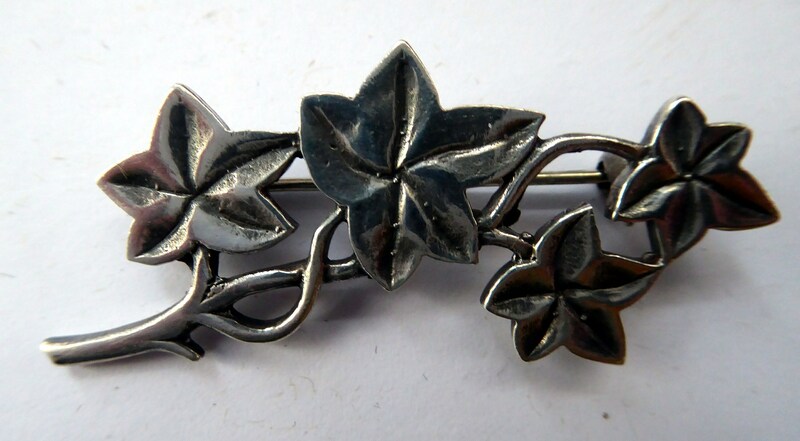 A smaller size and perfect for a jacket lapel or on a little winter cap.